NEW SURFINIA & TRAILING SCENTED PETUNIAS. Here at Garden Mints we specialise in growing a good range of attractive mints during the spring and summer and Climbing Plants and Shrubs for all year interest which are despatched from mid to late March onwards until early September. If you place orders in September to February we will allocate your plants for you and despatch during our normal despatch period. Whether you have a balcony, terrace or garden, it's easy to grow garden mints. These herbs are a delight for all the senses. Mint is one of the most popular garden herbs and rightly so. It's easy to grow, tastes good and looks attractive in the garden. Garden mints can be added to hanging baskets and patio containers for fragrance and beauty. There are many varieties of garden mints which can bring a new dimension to your patio gardening. The delicious fragrance and leaf colours provide a wonderful companion for your gardens essential wildlife. One of the most rewarding ways of connecting with your garden is being sent for some fresh sprigs of mint to flavour your new potatoes and freshly picked vegetables, one of the many highlights of the gardening year. If you wish to enjoy the mint experience you can order our nursery fresh mint plants and have them delivered direct to you. FREE POSTAGE & PACKING ON ALL PLANT ORDERS FOR 2019. Quantity: 3 x Apple Mint Plants growing in 7cm pots. Hardy perennial plants sent with pots to protect the root system. Quantity: 3 x Peppermint Plants growing in 7cm pots. Hardy perennial plants sent with pots to protect the root system. Quantity: 3 x Spearmint Plants growing in 7cm pots. Hardy perennial plants sent with pots to protect the root system. Quantity: 3 x Ginger Mint Plants growing in 7cm pots. Hardy perennial plants sent with pots to protect the root system. Name: Climbing Plants X 2 Offer- Blue Eyes & Red Pearl - Clematis for Patio Planting with Very long flowering period. Name: 2 x Clematis 'PIILU' (also known as Little Duckling) - What a gem this is for Patio Containers. This Hardy Perennial Climber has been container grown so can be planted at any time of the year. We despatch WITH container so the roots are safe. Quantity: 2 x Clematis 'Piilu' (Little Duckling) in 9cm Pots. Container grown Garden Ready Climbing Plants. Clematis supplied pruned and shooting well, ready for planting. We use 'Exemptor' to ensure your root system is strong and will establish well. 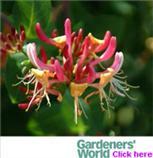 Name: Climbing Plants X 2 Offer- Passion Flower Promotion - Hardy Plants with Exotic Flowers and EVERGREEN. Quantity: 2 x 9cm Pot grown Garden Ready Plants. Very good root systems and will reward you year on year. A stunning combination! Quantity: 3 x 9cm Pot grown Garden Ready Plants. Very good root systems and will reward you year on year. A stunning combination! Name: 4x Russian Vine - Mile-A-Minute Vine. (Fallopia baldschaunica also known as Polygonum baldschuanicu). This Hardy Perennial Climber has been container grown so can be planted at any time of the year. We despatch WITH container so roots are protected. Quantity: 4 x Russian Vines in 9cm Pots. Container grown Garden Ready Plants, so your climbing plant can be planted at any time of the year. Very good root system and will reward you year on year. We use "Exemptor" to ensure your root system is healthy and strong. Name: 10x Russian Vine - Mile-A-Minute Vine. (Fallopia baldschaunica also known as Polygonum baldschuanicu). This Hardy Perennial Climber has been container grown so can be planted at any time of the year. We despatch WITH container so roots are protected. Quantity: 10 x Russian Vine in 9cm Pots. Container grown Garden Ready Plants, so they can be planted at any time of the year. Very good root system and will reward you year on year. We use "Exemptor" to ensure your root system is healthy and strong to establish. Learn about the best places for your Garden Mints to flourish. Great ideas for using mint in cooking. The use of mint in ant-cancer trials. A few interesting facts and figures ! Just how many different mint plants are there out there?